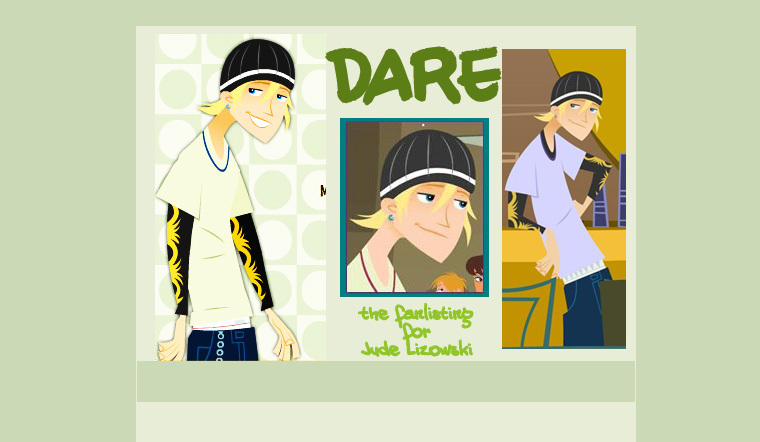 Welcome to Dare, the approved fanlisting for the awesome and laid-back character, Jude Lizowski, from the funny animated show, 6teen. Jude is a very mellow character who loves to skateboard and almost never worries. If you are a fan of this cool character, feel free to browse and join this fanlisting.